The main structure of world's longest cross-sea bridge linking Hong Kong, Zhuhai, and Macao, three major cities on the Pearl River Delta in China, was finished on July 7, 2017. The bridge's total length is 55 kilometers. It has taken seven years to build the bridge, which will be open to traffic at the end of the year. 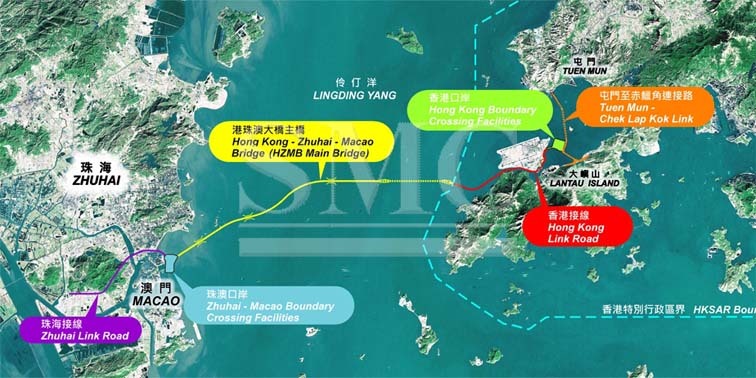 The first agreement on opening up new road links in the area dates back to 1982, when the government of Hong Kong and Shenzhen authorities wanted to solve the rapid growth and demand of cross-border traffic matter. 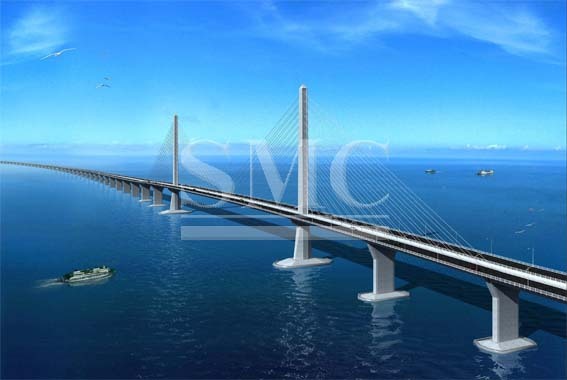 The HZMB consists of a main bridge in Western PRD together with the link roads within the three places. The bridge was built in order to facilitate passenger and freight transportation between the places and to boost the economic and sustainable development of these. The transportation costs and time will be significantly reduced. The travel time between Hong Kong and Zhuhai will shorten from three hours to just 30 minutes and the Western PRD will fall within a reachable 3-hour commuting radius of Hong Kong. Hong Kong will benefit greatly in various sectors such as tourism, finance and commerce and will obtain a better position in trades and logistics, as goods from the Western PRD, Guangxi etc. can make better use of the container port and airport in Hong Kong. By the end of 2017 electric vehicle charging stations will be functioning on an artificial island off the HZMB. 550 stations will be built with an investment of 90 million RMB, out of which 429 will be DC charging stations and the rest, AC charging stations. It was said that the stations will help "facilitate green development".